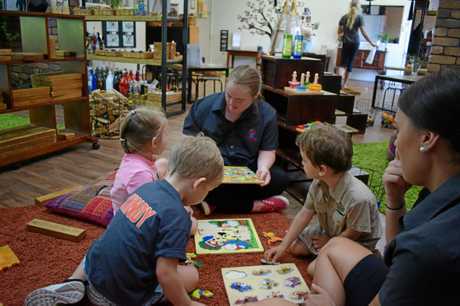 PLAYING and laughing with the team, Elizabeth Frost seems like just another person of a Yeppoon childcare centre. The staff and the children all treat her as they do everyone else but Lizzie is just a bit extra special - she has down syndrome. Lizzie does not let her disability stop her and works one day a week at J.A.C.S Learning World as an childcare assistant support worker. She has a bright and uplifting personality that the children love and gravitate towards. Lizzie has been working at the centre for the past eight months. The job has fulfilled her lifelong dream of wanting to work with children. On her days she is there, she is just like a normal educator. "I help the children to read books... tidy up the room,” Elizabeth said. One of her everyday jobs is to help with morning tea and she asks all of the children what their favourite fruits are. The centre itself has a heavy focus on nature with a massive outdoor play area. 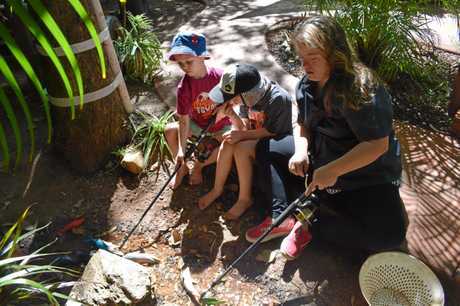 Elizabeth can usually be found playing and fishing in the small creek with the children most mornings. She looks forward to coming to work each week. "I make good friends and have a great teacher,” she said. 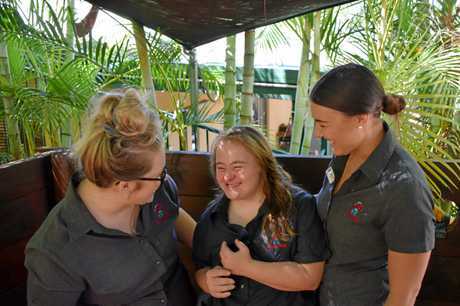 J.A.C's staff Alyce Plane and Chloe Clark have taken Elizabeth under their wing and facilitate her employment program and make sure she feels comfortable at work ever day. They said she is a valued staff member who assists the whole team through her role. "Elizabeth engages and supports the educators in running their environment and play spaces,” Chloe said. They encourage other workplaces to look into including those with disabilities in their team. 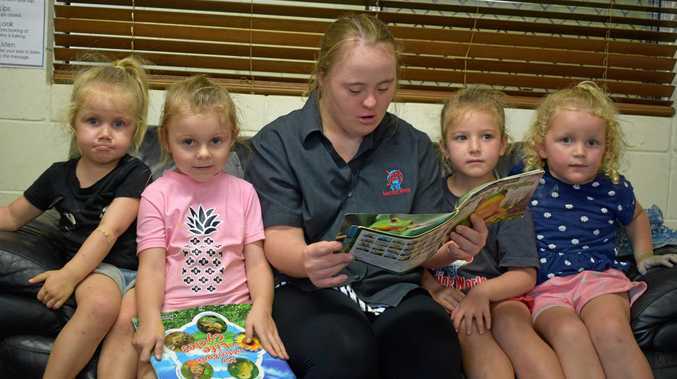 Chloe explained people with down syndrome or disabilities have the same ambitions as everyone else does and it's about giving them to the chance to pursue their goals. "It's about providing a role that suits their needs and the major impact they can have on your service,” Alyce said. "Providing a job description that is appropriate,” Chloe said. All of the children respond to Lizzie well and they look forward to her coming each week. Through her natural enthusiasm, she teaches the staff about overcoming barriers, just enjoying work and being with the children. "Just the joy she brings when she comes through that door is infectious for all of us,” Alyce said. "We love having her with us,” Chloe said. People with down syndrome have some characteristic physical features, some health and development challenges and some level of intellectual disability. Most young people with Down syndrome today are able to lead quite ordinary lives in the community. Some people with Down syndrome may not need much help while others may require a lot of support.